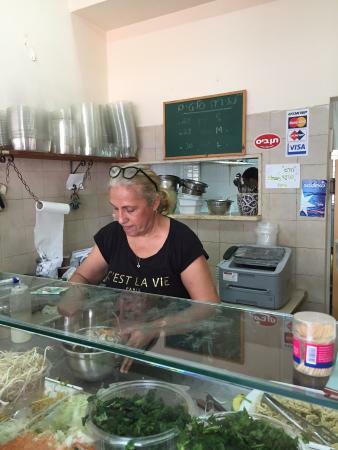 There aren't enough food, service, value or atmosphere ratings for Mira Salad Bar, Israel yet. Be one of the first to write a review! Great salad! Best in the city! Very nice owner. Always with a smile. Get the special house salad dressing. Amazing! One of the best and unkown places in Tel-Aviv. If you're looking for a healthy, tasty, cheep and quick lunch, you found the right place. Great variety of vegetables, tasty sauces and friendly service, Highly recommended. Get quick answers from Mira Salad Bar staff and past visitors.